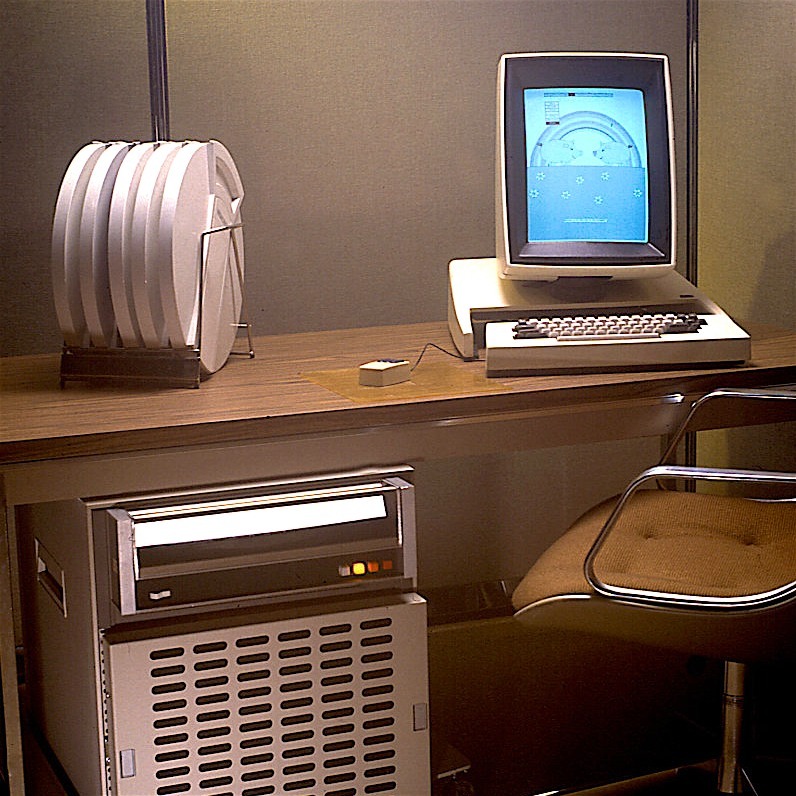 Widely regarded as the first personal computer, Xerox’s Alto helped popularise the desktop metaphor, gaining notoriety in Silicon Valley despite untenable unit costs and limited production numbers. Comprising a portrait orientated screen atop a cabinet housing the CPU – an undeniably innovative Xerox failed to comprehend the true worth of their technology in terms of a public product offering. Many of the Alto’s features would later be refined, distilled and found within subsequent Apple offerings (notably the Macintosh) after then-CEO Steve Jobs toured Xerox in 1979.